Poach delicious salmon steaks or fillets in only 15 minutes! Salmon poached in white wine, seasoned with fresh dill. Whether you are entertaining a crowd or making a simple meal for one, there’s nothing more easy, healthy, and delicious than poached salmon. This is my hands down favorite way to prepare salmon, because it’s so quick! Start to finish it takes only 15 minutes (at least with a small fillet), and it doesn’t stink up the kitchen the way broiling or frying salmon can. The method we use is “shallow poaching”. Rather than submerging the salmon into a poaching liquid, we rest it on a bed of shallots, parsley, and dill, with a little white wine and water, bring to a simmer, cover and cook. The salmon cooks gently and absorbs the flavors of the aromatics. 1 Sprinkle the salmon fillets with a little salt. Put the wine, water, dill, parsley and shallots or onions in a sauté pan, and bring to a simmer on medium heat. 2 Place salmon fillets, skin-side down on the pan. Cover. 3 Cook 5 to 10 minutes, depending on the thickness of the fillet, or to desired done-ness. Do not overcook. Serve sprinkled with freshly ground black pepper and a slice or two of lemon. Hello! All photos and content are copyright protected. Please do not use our photos without prior written permission. If you wish to republish this recipe, please rewrite the recipe in your own unique words and link back to Poached Salmon on Simply Recipes. Thank you! Feed a crowd with a large fillet poached in a fish poacher or a pan wide enough to hold the whole fillet. Add enough white wine and water to cover the bottom of the pan by at least 1/4 of an inch. Can also be served cold. Serve with a horseradish aioli. Delicious as an appetizer. Lovely simple healthy way of cooking Salmon. Hopefully it will not leave a pungent fishy smell in my kitchen……I avoid hob fish cooking for that reason. Great recipe! Taste great and so easy to make. Could you use chicken broth instead of wine? Hi, Laurie! The salmon will have a bit of a different flavor, but yes, I think this should work just fine. You might also add a splash or two of white wine vinegar or cider vinegar to the liquid for a bit of acidity in the final dish. My new favorite way to cook salmon! Delicious and easy. No way did I ever think I could make restaurant quality salmon in my own kitchen & in a short time! I only had dried herbs but this was really good. Will make this again, hopefully with fresh herbs! I loved this poached salmon! I’m making always, it’s great! This review is long overdue. I’ve made this recipe dozens of times over the past few years, no modifications. This is by far my favorite way to make salmon. So simple and delicious. I usually serve the salmon with a side of couscous and roasted veggies. Lots of possibilities for leftovers: in a terrine, salad, salmon cakes, flaked into creamy pasta. Delish! 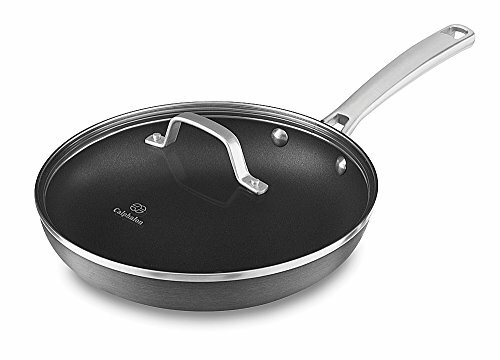 What pan is in the picture? I’m trying to find it, but I’m just seeing much bigger pans (I just need to make one fillet) with lids that don’t have the steam hole. Thanks. Hi Joe, I just used the lid from one of my pots (Berndes brand) to put on top of a basic hard anodized aluminum skillet. Love this quick, easy, and tasty recipe. After cooking the fish I took the wine/water and veggies put in my food processor and chopped up everything together. Then put it back in the pan, added about a quarter cup of cream and cooked it down to about half and served as a sauce for the fish. Hubby loved it! As many have said already, this recipe is delicious and so quick! I saw no appeal in the final cooked state of the vegetables, so after removing the salmon tipped the whole lot with the broth in to my blender, added butter and a splash of milk, and ended up with the most delightful sauce to top the fish. It went very well with rice and roast vegetables, and I’m looking forward to making it again! The texture of the fish was just right. Thank you for sharing! Try adding sliced potatoes and carrots under the fish for a complete meal! I had this for 6 guests and not only is it great it is easy and doesn’t take you away from them. It cooks quickly and if it’s all ready to put in the skillet when they arrive it’s literally 8 minutes with no tending. Fabulous! Everyone thought I was a gourmet. ha ha!